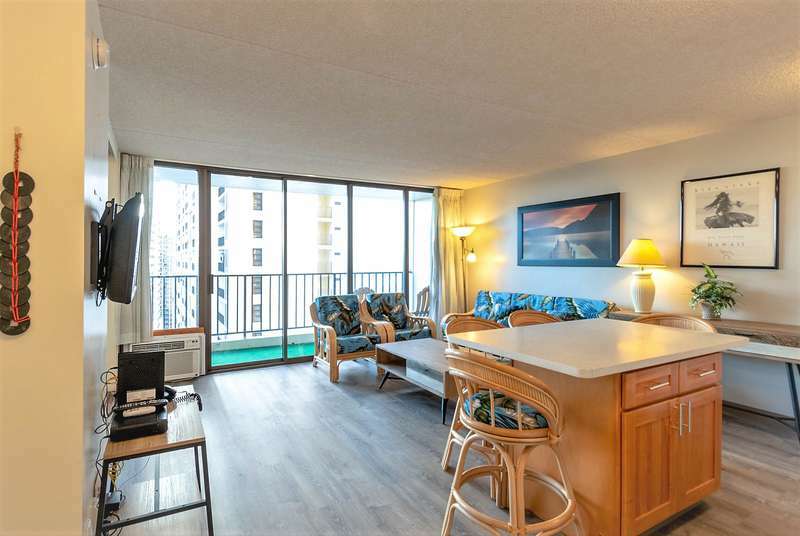 Enjoy paradise with an incredible mountain view Waikiki Banyan condo suite only one block from world famous Waikiki Beach! 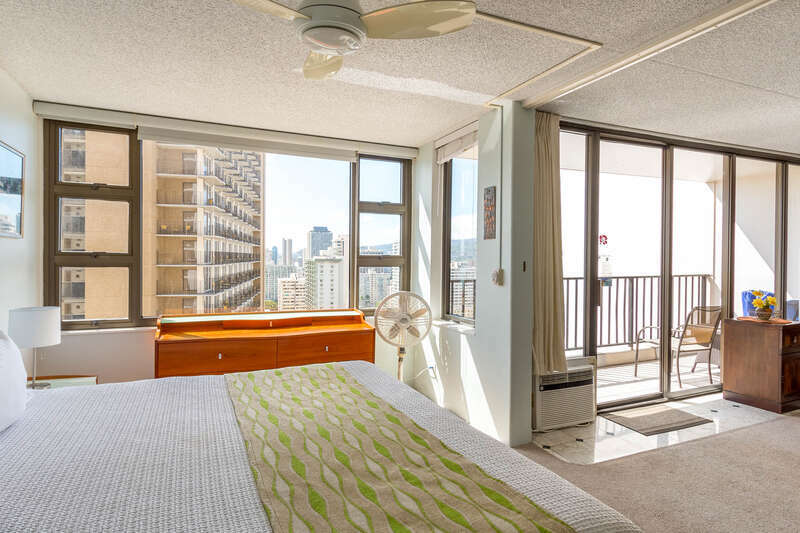 Condo suite is located on the 37th floor and has a spectacular view of the mountains and the Ala Wai Golf Course. See the ocean and Koko Head Crater in the distance towards Hawaii Kai. Tastefully decorated with island style furnishings, tile flooring, full-tile bathroom, stainless steel appliances, and modern furniture. Enjoy the comforts of home at an affordable price! Save money and enjoy the convenience of a fully-equipped kitchen and comfortable seating in the living room. Kitchen includes refrigerator, range, microwave, rice maker, coffee maker, and other kitchen wares. There is a kitchen table with seating for four people. Convenient sleeping arrangements include two queen-sized beds in the bedroom and a sofa sleeper in the living room. There is greater privacy in this unit because there are two separate bathroom doors. 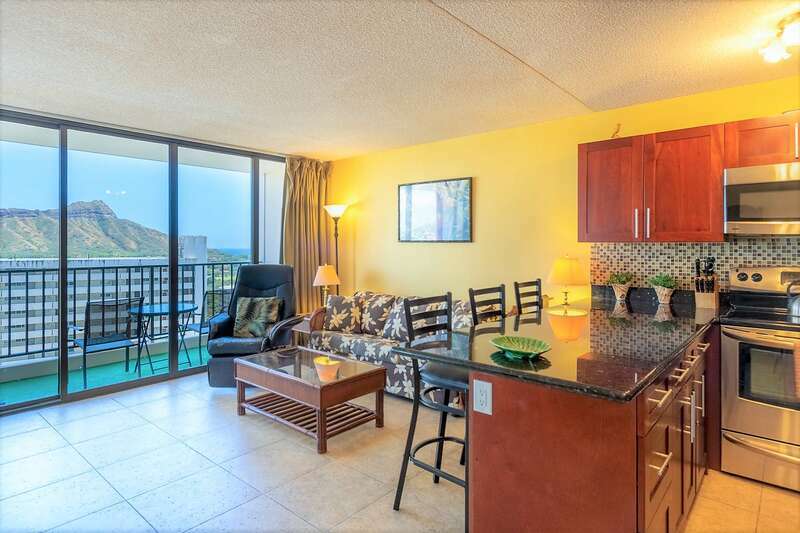 We have gone out of our way to make your stay in Waikiki spectacular.